Musicians move for a living, just like dancers and athletes. The quality of your movement determines your quality of sound. Rather than emphasizing position and posture, lessons in the Alexander Technique teach you how to find places of balance and optimal support in your playing or singing. 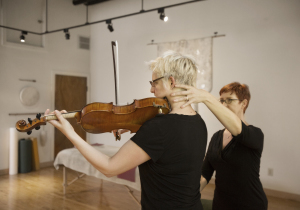 By working with the body as another instrument, (or the main instrument!) 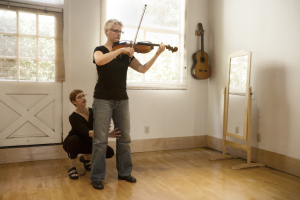 that needs to be in tune just as a violin, you will refine your playing or singing skills in very specific ways. Study of the Alexander Technique will clarify that the way you think about your movement either contributes to disconnectedness or to integration. 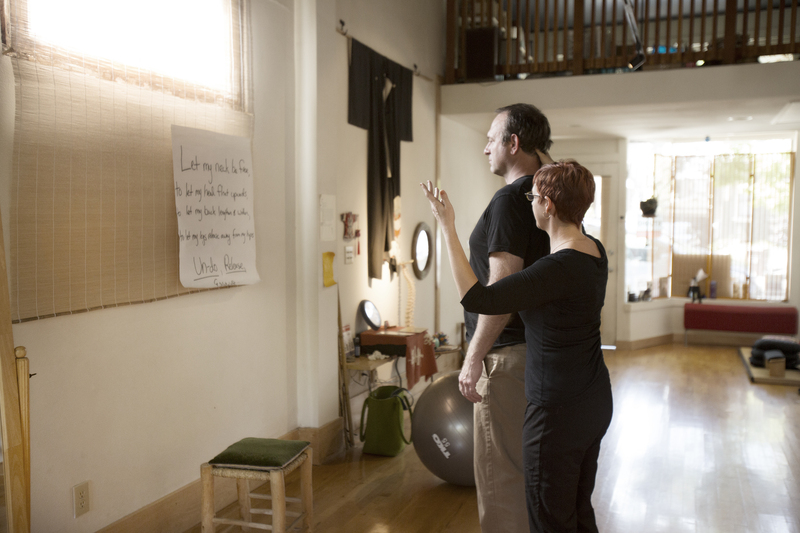 When you are in balance you will use only the postural tension that is on-going and necessary, and you will sense your core support as lightness and ease – not as effort. In balance, you will be comfortable and your coordination will be easy, which frees up your breath and entire neuromusculoskeletal system. With improved integration of your nerves, muscles, and skeleton, you will become a more finely-tuned instrument. You will produce a higher quality sound with less effort and tension and more ease and efficiency. Most musicians take music lessons with their instruments and separately implement a form of relaxation or self care. 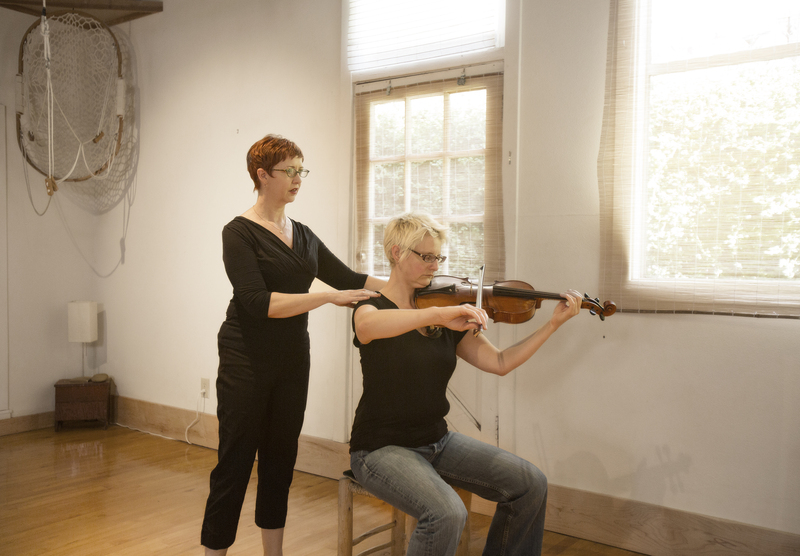 If you are a musician who has an RSI injury or pain from playing your instrument, I can help you incorporate care of self into your practice and your performance. If you could play longer and with less discomfort, how much time, energy and money would you save? If you could play without pain, how much more would you enjoy your music? You can get back to enjoying music if you learn to take care of your self with new healthy habits of your whole undivided self. After studying with Constance for twelve weeks, I found that I could practice almost indefinitely without fatigue if I sang according to the principles she showed me.